adj. 1. fond of or adapted to luxurious tastes or habits, especially in eating and drinking. 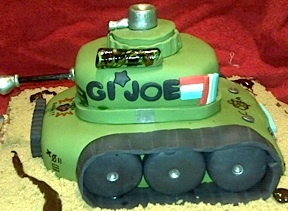 In ever-growing numbers, typically health-conscious GIjOE fans have begun rebelling against normal dietary restrictions and succumbing instead to the increased consumption of “oh-so-sugary” custom cakes, cookies and baked treats; all under the guise of celebrating and/or commemorating the world’s greatest action figure—GIjOE! Sounds good to us! 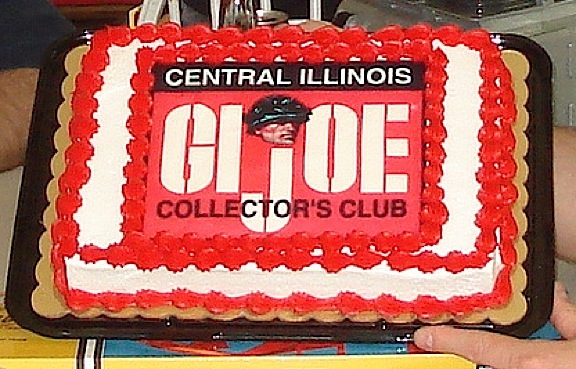 Of course, GIjOE cakes and other treats aren’t limited to just collector’s club members. 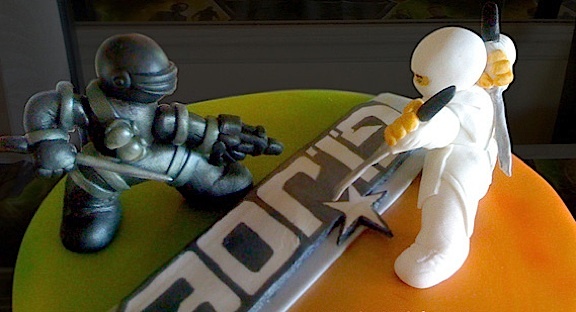 Hundreds, if not thousands, of such delicacies have been created and consumed over the years by hungry fans of all ages in the form of birthday cakes, cupcakes or cookies. 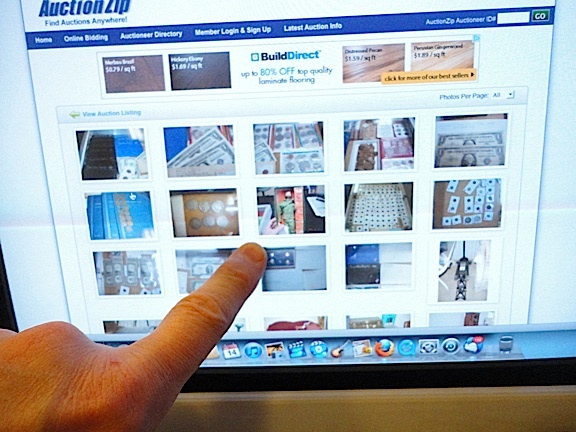 A quick search on the internet revealed dozens of examples in a variety of shapes, “eras” and themes. 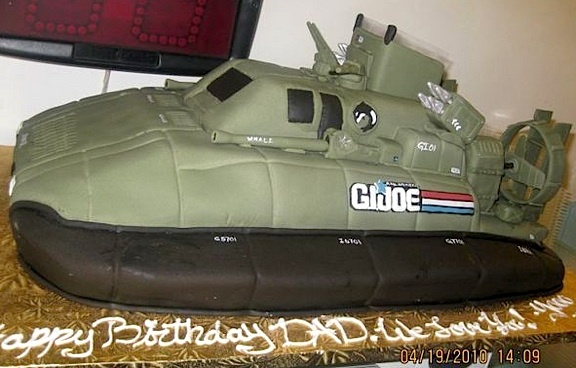 Our favorites are the ambitious ones that go beyond traditional round or rectangular shapes and endeavoured to make 3-dimensional cakes based upon GIjOE characters and vehicles (see tank cake at right). 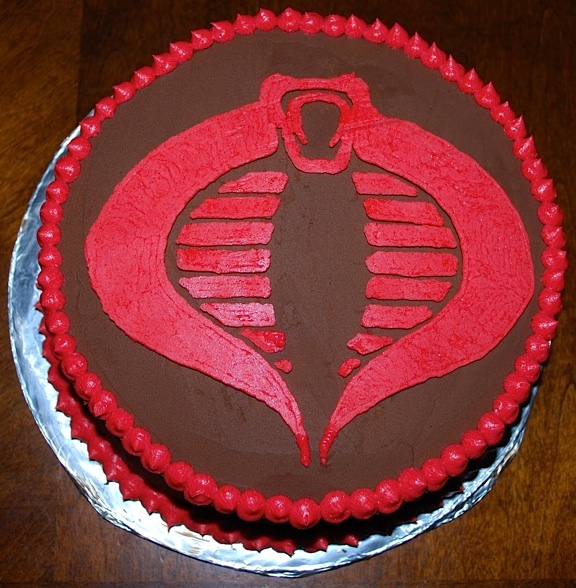 The baker of this “Cobra Cake” did an outstanding job rendering the Cobra logo. YUM! If cakes aren’t your thing, how about a GIGANTIC chocolate-chip cookie? With camoflage frosting? 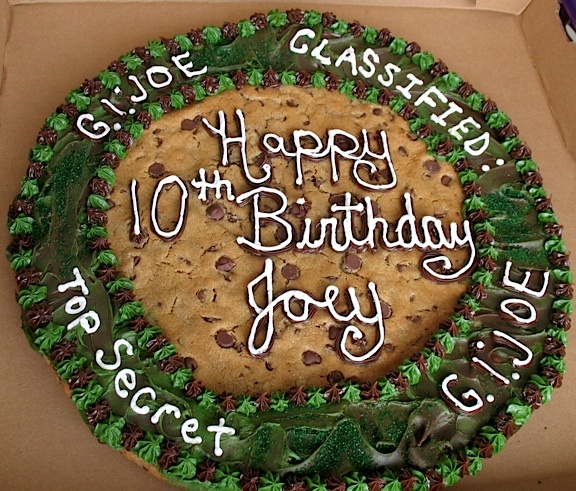 Just remember to keep it a “classified top secret” until your 10th birthday party—like Joey! 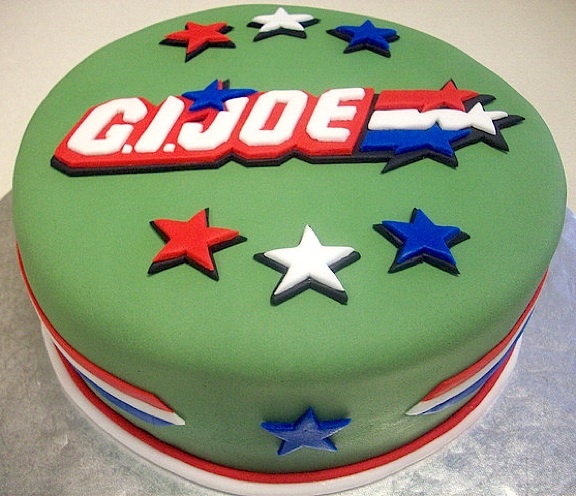 Bottom Line: Whatever the occasion, whether it be a GIjOE club meeting, birthday party or just for fun, there’s no better way to “top off” the event’s festivities, than with a GIjOE-themed dessert. 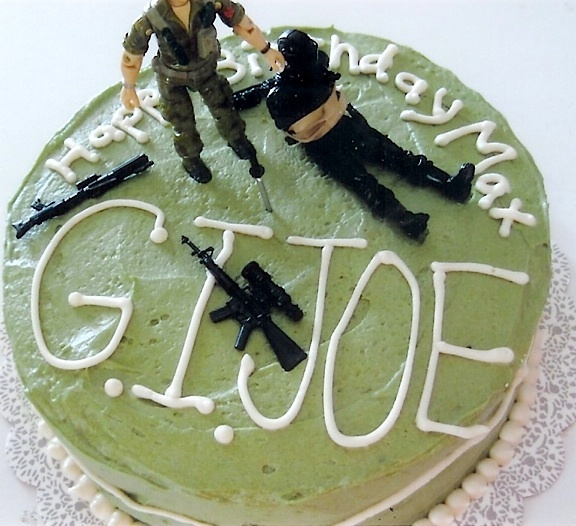 With that in mind, we’ve saved the very BEST GIjOE cake for last. 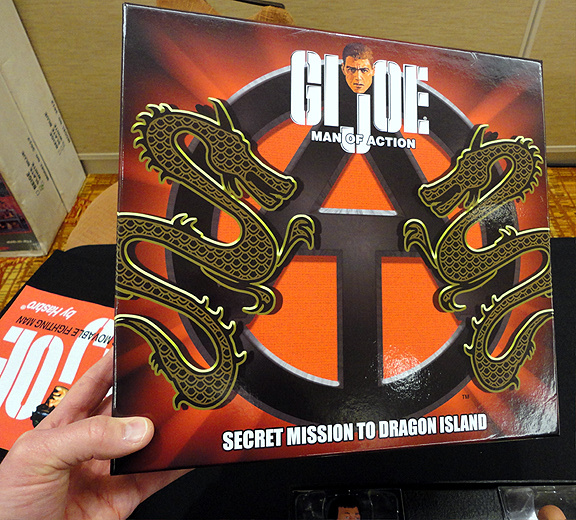 It was created by our good friends in the Long Island Division of the GIjOE Collector’s Club. Click HERE or on the video link below and prepare to be BLOWN AWAY. Enjoy! 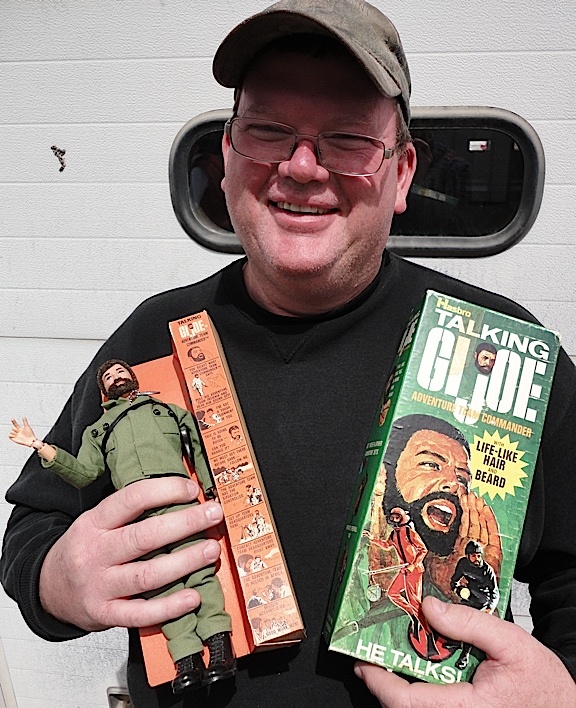 James DeSimone, undeniably one of the most famous (and active) names in the world of GIjOE collecting, is hosting yet another of his famous GIjOE “Action Figure and Toy Shows” on May 5th in Burbank, CA. 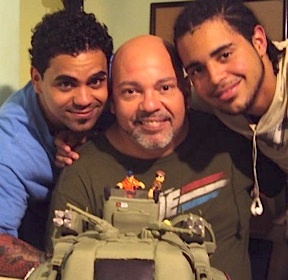 Over the last couple of decades, DeSimone has proven himself to be one of GIjOE’s most vocal and effective advocates. 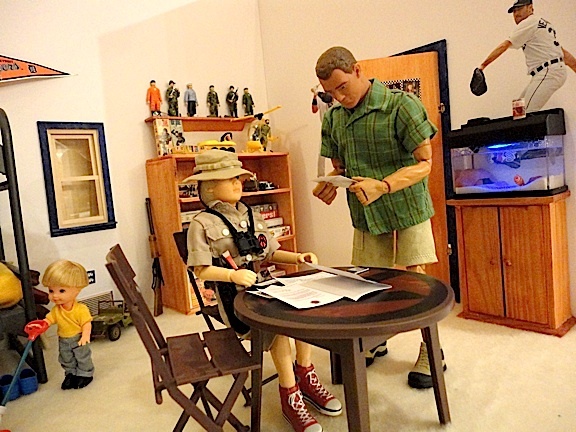 Today, “GIjOE’s #1 Fan” (as Hasbro called him) still acts as a leader for fans out on the west coast, and is highly regarded by fans around the world for his multitude of past accomplishments. 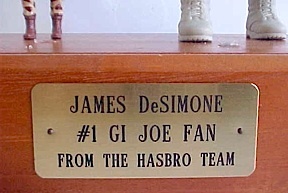 As far back as 1985, DeSimone formed the first fan-operated, “GIjOE Collector’s Club,” eventually achieving a total membership of over 500 members. 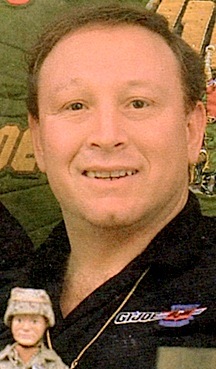 Later, he would produce and host various GIjOE conventions, thereby convincing Hasbro to produce convention exclusives. Permission for official licensing soon followed, and with that, the manufacture of a line of highly popular reproduction vehicles, uniforms, parts and accessories. 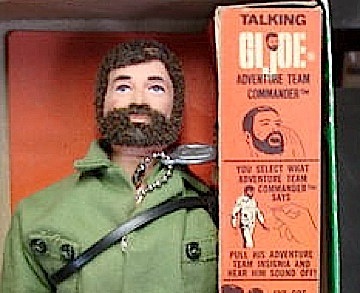 Bottom Line: DeSimone is clearly a “Man of Action.” While others may “talk the talk” year in and year out, this is one GIjOE fan who’s proven he knows how to get things done. 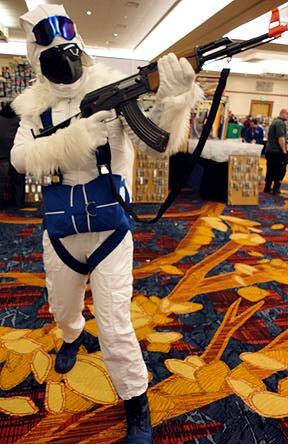 James’ shows are still some of the best opportunities for fans in the West to gather together and talk, sell and swap GIjOEs. If you can, we highly recommend you attend this upcoming event in Burbank. Go, James! And… Go, JOE! Don’t be so stunned, Joe. You look GREAT! When your owner removes that flocking-glue residue around your mouth and touches up the paint on your hairline, you’ll be perfect! (Photo: irol04) Click to enlarge. How cool looking is this guy? 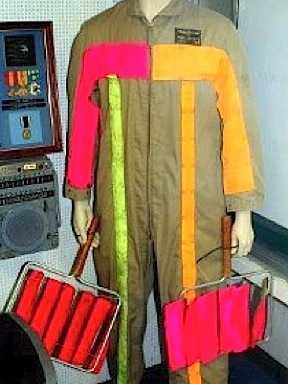 In an intriguing auction spotted recently on ebay, some creative Joehead (was it YOU?) 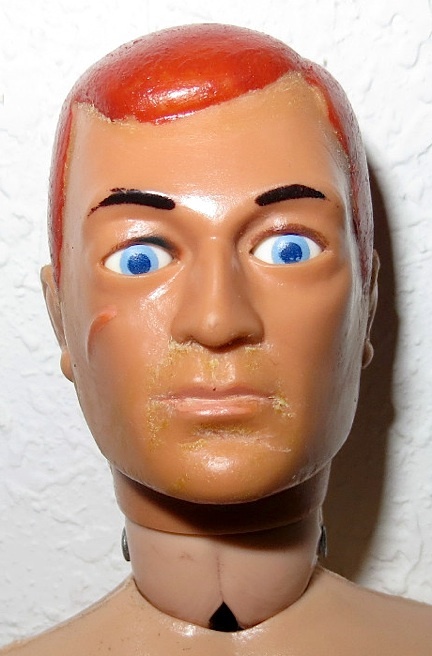 had customized a ’69 Adventurer by swapping out its original head for a flocked ’76 “Eagle-Eye” (EE) noggin. Then, he shaved off its hair (yes, the beard too!) and converted it back to a painted-hair (PH) redhead! The description is factual, yes, but far from complete. 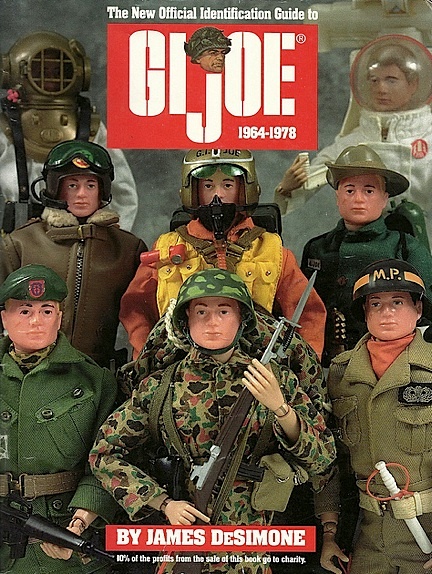 As you may recall, Eagle-Eye (EE) GIjOEs made their first appearance in 1976, sporting all-new “life-like bodies” and exciting all-new EE headsculpts with flocked hair (some with beards, some without). 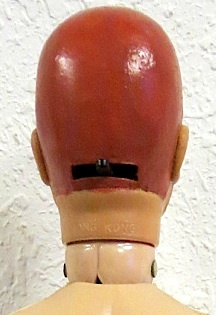 A simple glance at this custom figure reveals it has an older first-generation body, proving its EE head is not original and has been changed. 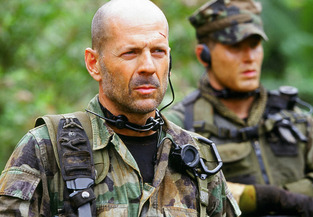 The so-called “flaw at the neck post” mentioned in the listing is actually one version of the sniper or “sharpshooter position” neck-piece. 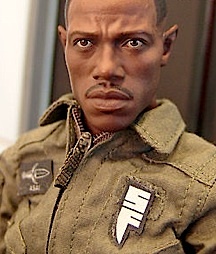 But WHO put this interesting 1:6 hero together this way? And WHY? It would be nice to know the reasons behind these customizations. If you’re this figure’s creator, please leave a comment behind. Regardless, the results speak for themselves. This figure ROCKS! 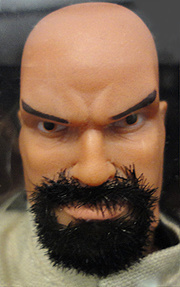 Bottom Line: If you’ve ever wondered what a bearded fuzzhead with eagle-eyes would look like if you shaved off his hair and painted his noggin, well here you go! 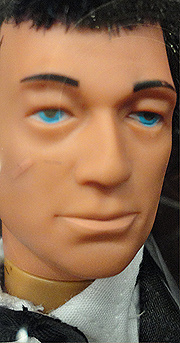 And despite this particular Joe’s trepidation about his appearance, we think he looks pretty great indeed. Hello, Hasbro? 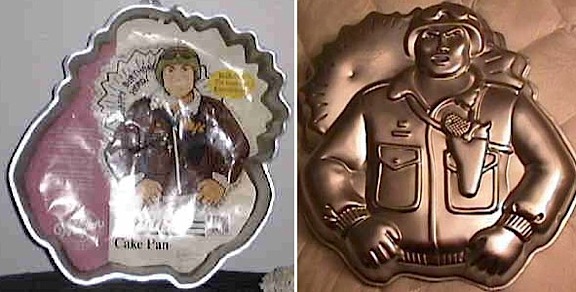 Here’s yet ANOTHER idea for a line of 50th Anniversary figures! 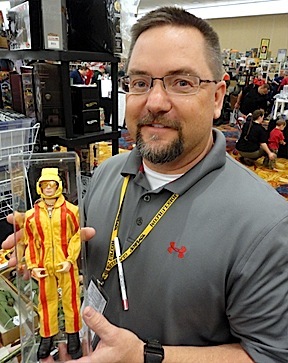 Special thanks go out to “Eagle-Eyed” Field Reporter, Tony Stroud, for first spotting this unique figure and bringing it to our attention. Thanks, Tony! 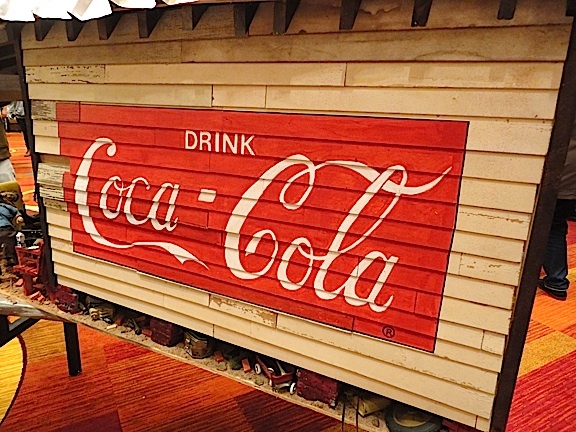 “About 12 to 15 years ago, I bought a large lot of miscellaneous vintage stuff off ebay. Right away, I could tell there was something different about the items. They were all authentic Hasbro all right, but they didn’t look ‘correct’ in many ways. I asked the seller for more information, and she turned out to be an old lady from Rhode Island. Apparently, back in the 1960s, she would go into what she called a Hasbro ‘seconds’ store in Pawtucket and pick up ‘seconds’ and discounted Hasbro toys. The “clincher” in this story really occurred with the revelation of one more piece of corroborating information. According to the old woman in Rhode Island, all of the Hasbro “seconds” in the store were marked in a specific way so as to indicate that they were NEVER to be sold at retail. The “mark,” she said, was a “scarlet slash” made though the GIjOE logo with a permanent (red) laundry pen. Wha…? 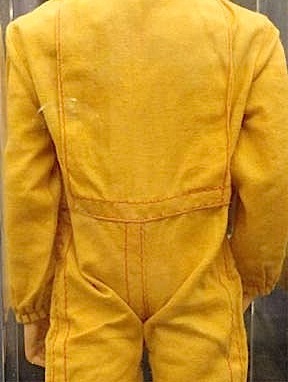 Fascinated by her revelation, Gray quickly tugged at the collar tag of the old jumpsuit and discovered to his delight, that sure enough, it DID bear such a red mark! Combined with all the other indicators, there seems to be little doubt that this piece is an authentic Hasbro product, most likely produced as a color-test prototype. Once rejected, it was apparently marked and tossed into the company’s outgoing “seconds” bin to be sold from their store as such. 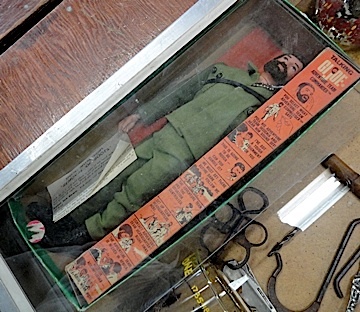 Thankfully, Gray’s research and identification have rescued it from obscurity and provided fans with yet another intriguing glimpse into GIjOE’s history. Bottom Line: Our sincerest thanks to all of the generous contributors to this article, including: George Gray, Dan McKee, Charles Bury, Nick Bowyer and that “little old lady from Pawtucket,” Go, JOE! Every year about this time, auction listings begin to appear in our local newspaper; sometimes so many that they seem to be proliferating like little rabbits. 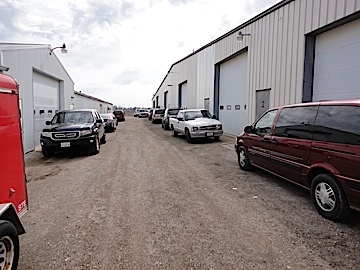 A couple of days ago, I came across a new listing for a general property auction (see photo at right). 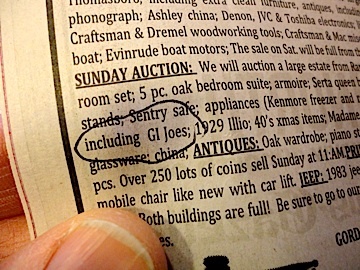 In the advert were two little words that caught my eye: “including GIjOEs.” Whoa! Hold the phone, Horatio! What did they mean by that? Are they old Joes? Big Joes? 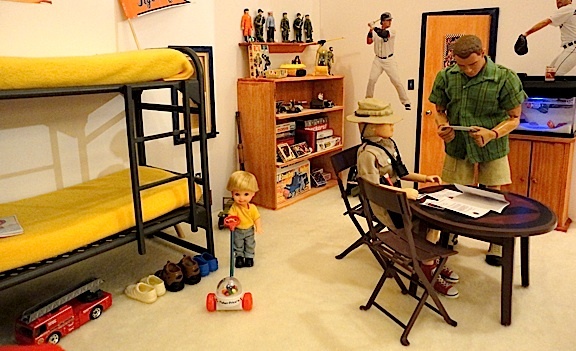 Little Joes? 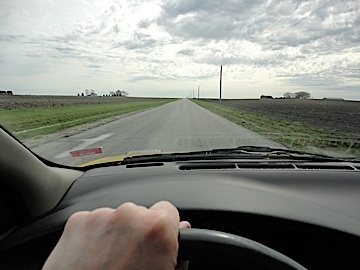 My mind began racing with all of the exciting possibilities. But I knew from previous experience that such sketchy descriptions were often misleading and could end up being ANYTHING; even a box of little green army men. I drummed my fingers in frustration and anticipation. I had to learn more. 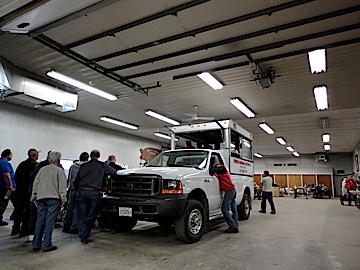 Auctions can drag on for a long time, depending on the crowd size, number of items involved and the speed of the auctioneer. But while daunting, such large public sales can also be quite rewarding. Here’s where the psychology and “secret” advantage of attending an auction in person begins to kick in: If you can afford the time, are patient, and there are no other bidders in attendance who are interested in the object(s) you’re interested in, you can end owning some extremely valuable items—for a song. 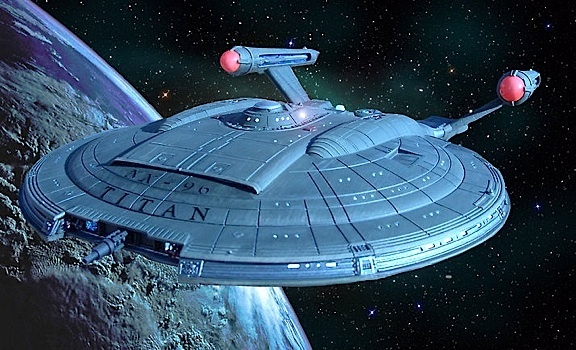 Seriously, I’ve seen MANY lucky bidders pay just a few dollars for rare vintage furniture, toys, comics and other cool collectibles that were worth THOUSANDS, simply because no one else at the auction bid against them. Unfortunately for me, on this particular day, a great deal of fellow bidders had decided to “hang around.” Curse them all! 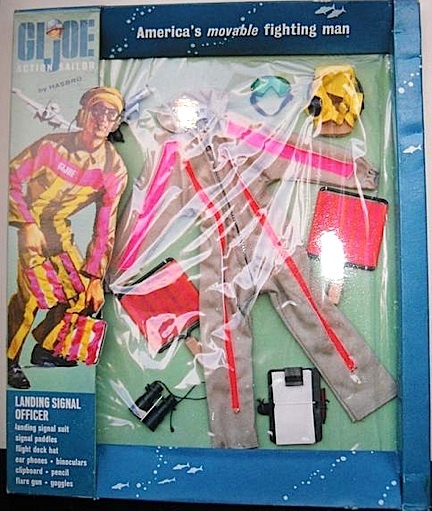 After 45 minutes of boring bidding on lots of old coins, pocket knives and watch fobs, my pulse began to race as the auctioneer FINALLY reached the GIjOE. You should have seen all the grown men in that building suddenly perk up. The feeling was palpable. They were acting like kids again. A chorus of “Pull his string! Let’s hear if he still talks!” arose from numerous faces in the crowd. Silence descended upon the giant room as the auctioneer’s helper slowly pulled out the Commander’s string. The tension was thick, when suddenly, the veteran adventurer LOUDLY declared, “I’ve got a tough assignment for you!” and the crowd erupted again with cheers. “Yayyyy, JOE!!! At that moment, I was sunk. 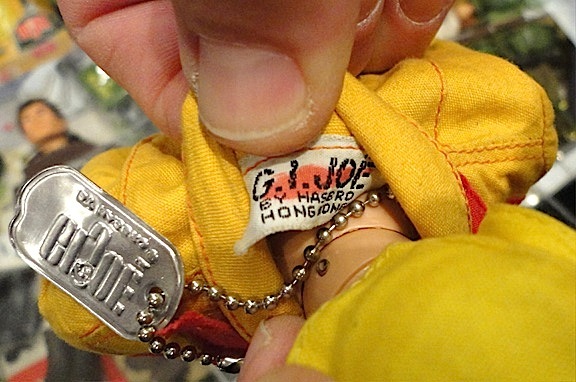 Despite the figure’s age and imperfect condition, I knew this was one Joe who wasn’t going to sell cheaply. I sure do. And I’m also happy (really!) 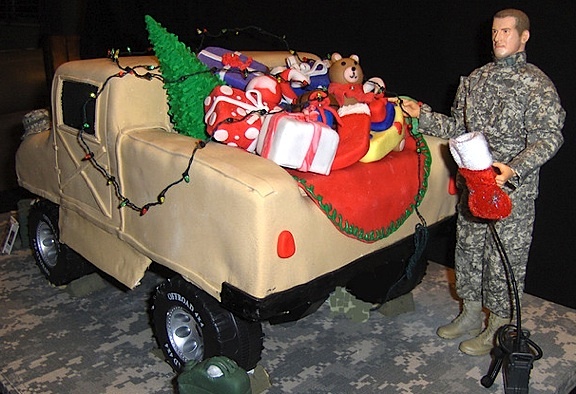 that the Commander “went home” to such a nice guy and not to some ebay scalper. Congratulations, Brent. Keep “rescuing” GIjOES. And happy collecting! 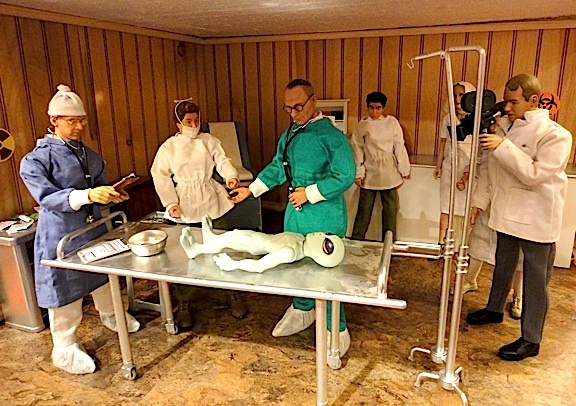 We’re referring (of course) to the amazing 1:6 scale creations that were entered in the “Custom Action Figures, Vehicles and Dioramas” competition at Joelanta 2013. This year’s competition was stiff. The entries? Superb. And the crowds? They were WOWED. 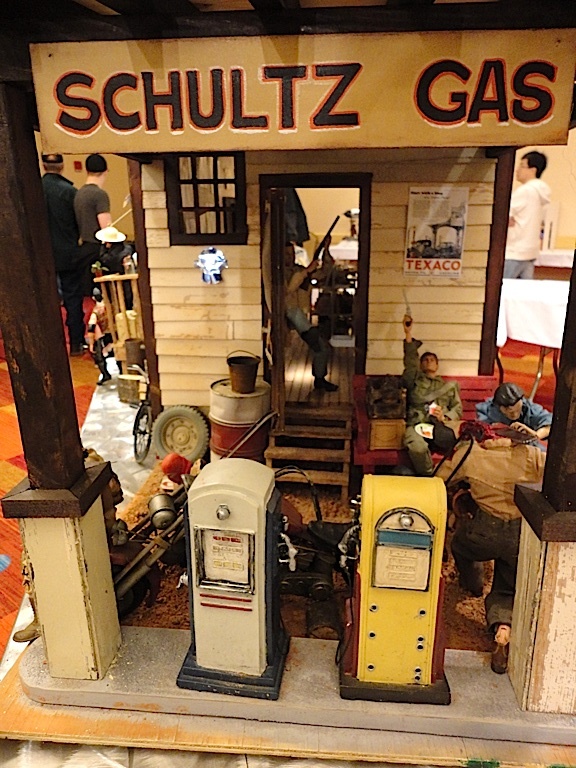 This year’s standout exhibit was (again) created by diorama “Whiz Kid,” Caleb Brown (see our previous article HERE). 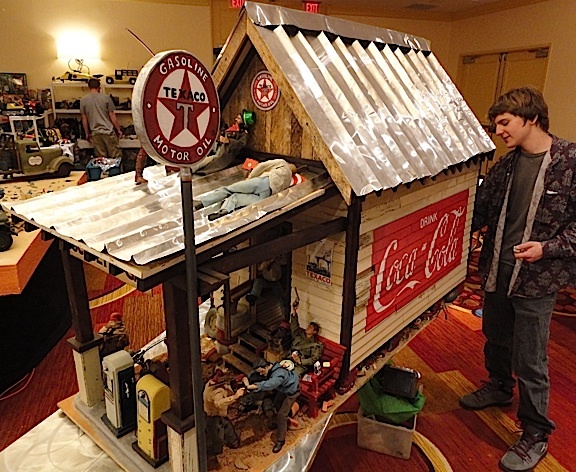 The modest 15-year old’s outstanding 1:6 scale “Country Store Zombies” diorama, complete with a hand-shaped metal roof, intricate hand-painted graphics and a fully detailed interior was the clear winner of the 2013 competition (although it was not officially entered due to size limitations). 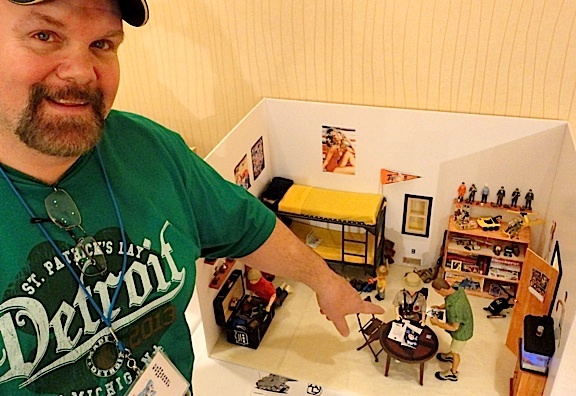 As we predicted, Brown’s notoriety within the 1:6 scale community continues to grow. 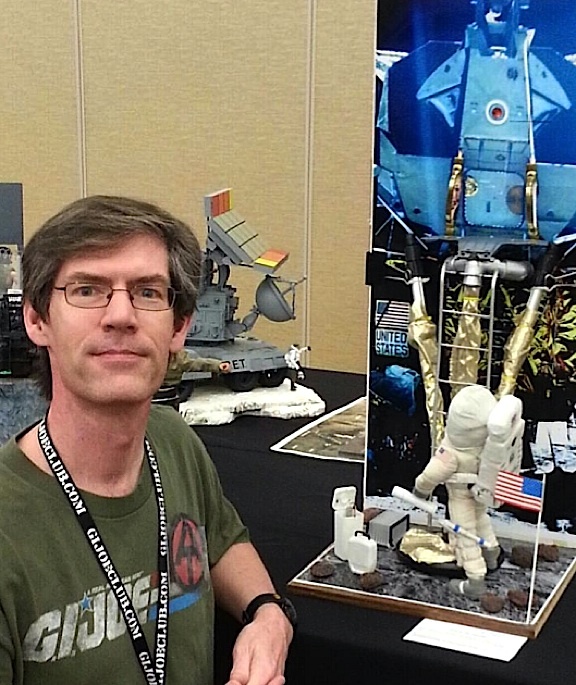 His custom buildings, figures and dioramas are all becoming more popular with fans, and offers to purchase his work have been increasing as well. And it’s easy to see why. 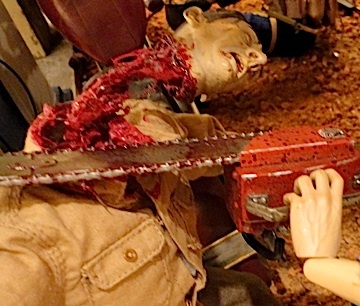 Caleb’s superbly crafted pieces are more than “backgrounds” for action figures. 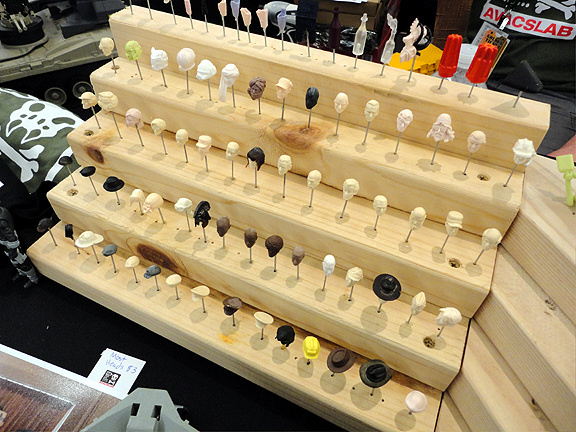 They’re actually more akin to works of “folk art” than they are to mere hobby fodder. And as works of art, their inherent monetary value and importance will undoubtedly continue to rise over time. 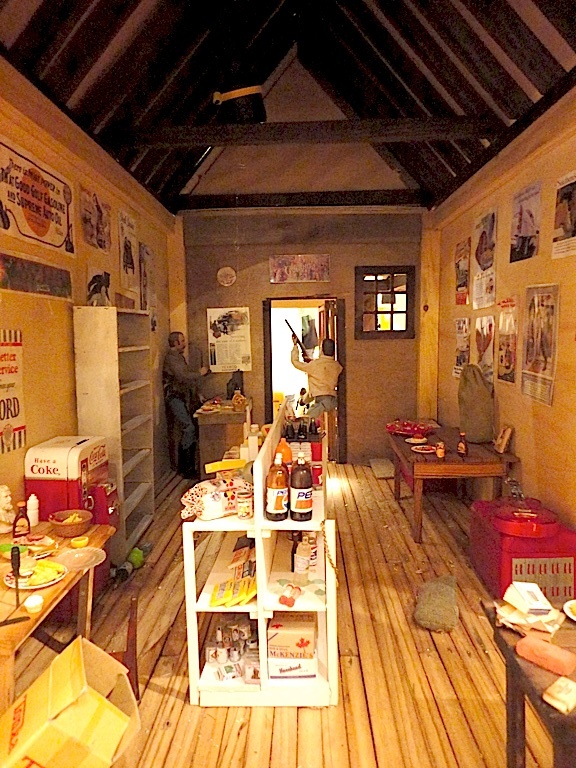 In fact, fellow 1:6 fan and collector, Buddy Finethy, has already purchased Caleb’s general store diorama (for quite a tidy sum!) 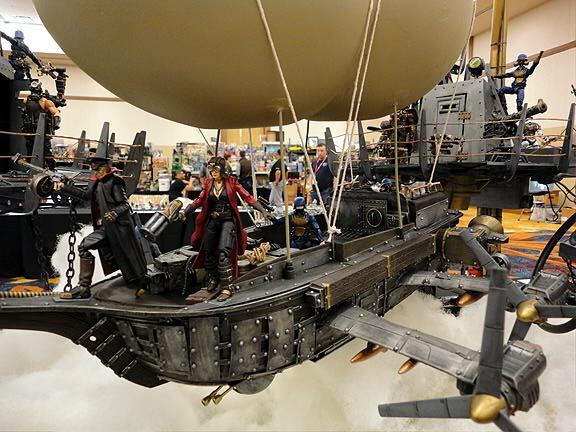 and hopes to add it to the growing lode of customs being accumulated for the upcoming Cody Lane Memorial Toy and Diorama Museum; a fitting place, in our opinion, to display such fine work. Congratulations, Caleb! 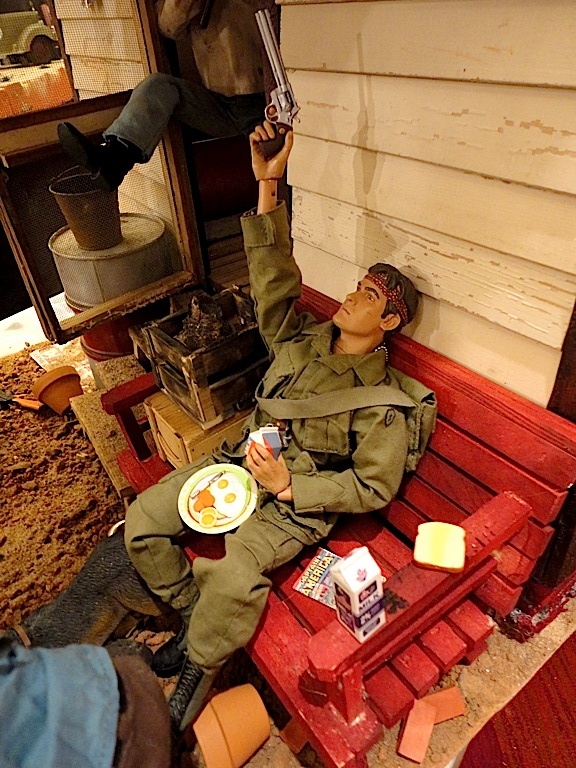 Jack “RatSix” Hall, points to his 1st place-winning diorama, “The Boy’s Bedroom.” (Photo: Mark Otnes) Click to enlarge. Jack Hall is a big guy. 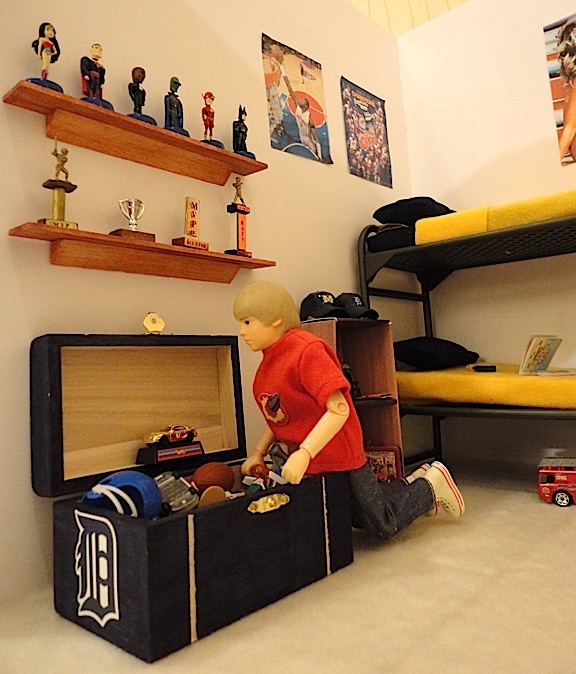 But his award-winning “Boy’s Bedroom” diorama is a TINY work of 1:6 scale perfection. 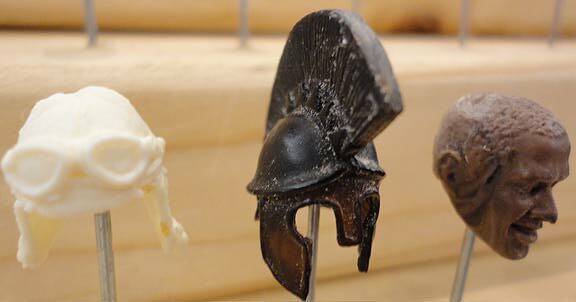 While the room’s construction is fairly simple and consists only of a few foamcore walls, the array of miniatures contained within reveal incredible patience and long-term collecting commitment. 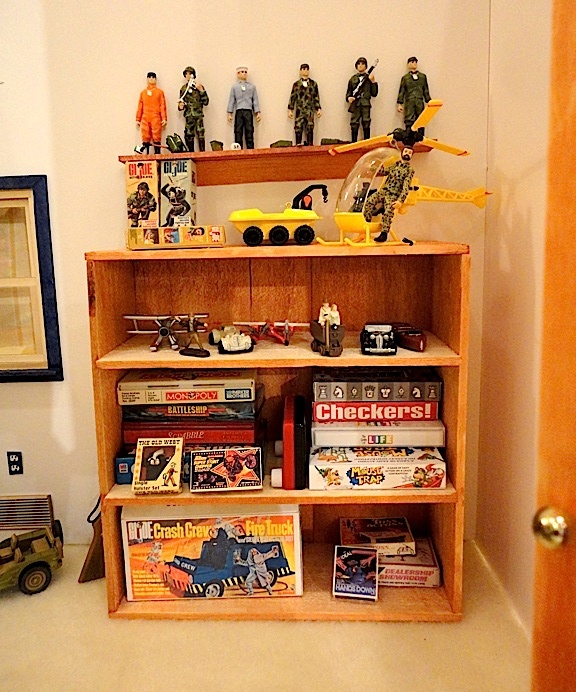 In addition to Farrah, there’s a tiny bookcase full of tiny GIjOEs, a miniature capture copter, a miniature Crash Crew Truck box (found HERE), and a wide variety of other assorted toys, games and sports miniatures. Along the wall are bunk beds covered with AT yellow bedding, while over in another corner, a stunning miniature aquarium glows with a cool blue light. 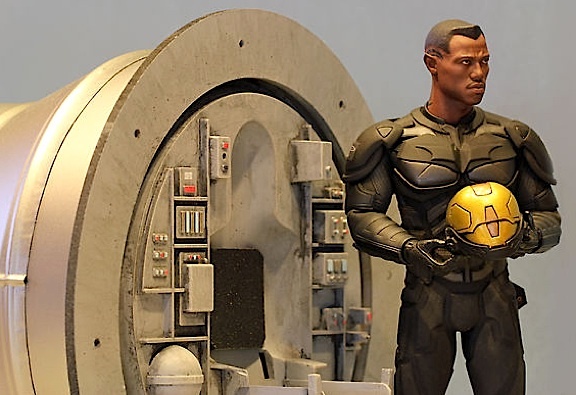 Bottom Line: If you want to see the amazing work of these talented customizers in person, you should make plans to attend (and/or ENTER) next year’s competition at Joelanta. 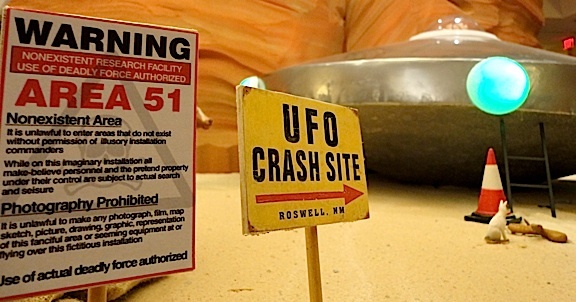 However, we know that’s not always possible, so here at The Joe Report, we vow to continue to do our utmost to bring you the best and most reliable 1:6 scale intel available. 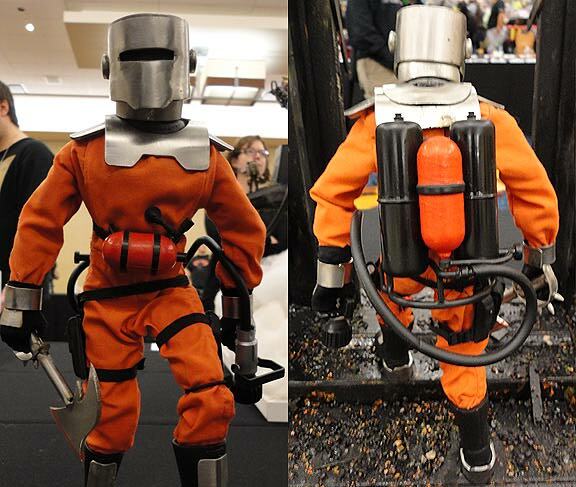 In that spirit, here are some MORE pics from this year’s competition. Enjoy! There you have it. 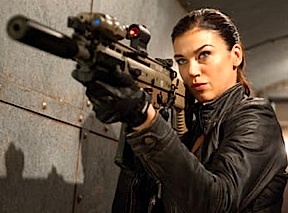 GIjOE: Retaliation wasn’t delayed to make it better. 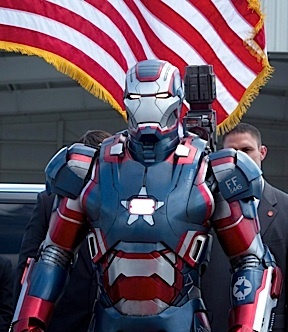 It was delayed and converted to 3-D to make it more profitable to foreign audiences. Yes, it’s common knowledge that studios now openly tinker with their franchise and “tent pole” movies, often creating entirely new characters, scenes and storylines to specifically target overseas markets. 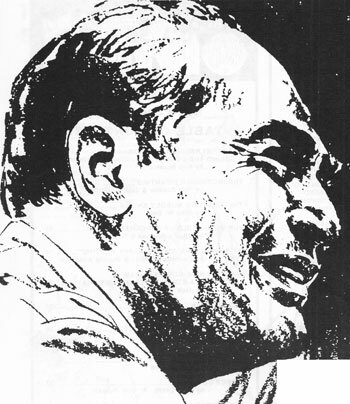 ‘Silver Age’ comics legend, Carmine Infantino, died yesterday (April 4, 2013). He was 87. I LOVED Infantino’s artwork and the comic books in which it appeared. I never met the man personally, but if you ever mention his name to me, a thousand colorful, exciting images will immediately come flooding back to my mind. That’s the “power” of any really, REALLY great artist. If you’ve never heard of Infantino, I highly recommend you take a few moments today to acquaint yourself with some of his amazing work. 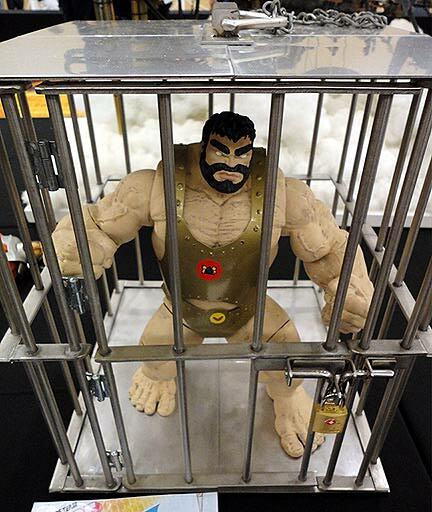 You may suddenly realize that indeed, you do recognize something he’s done, if not in the realm of comics, than perhaps in the arena of toys and action figures. Fortunately, there are numerous websites, personal interviews and in-depth articles available about the man, all free and online. 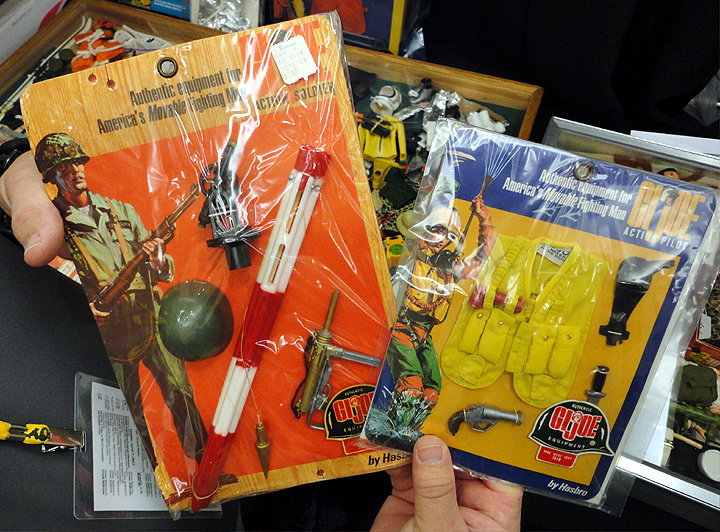 In addition to his extensive comic book art legacy, Mr. Infantino was also well-known by fans of 1:6 scale action figures as the artist who was chosen to illustrate the packaging of Playing Mantis’ “retro-repro” line of Captain Action action figures. 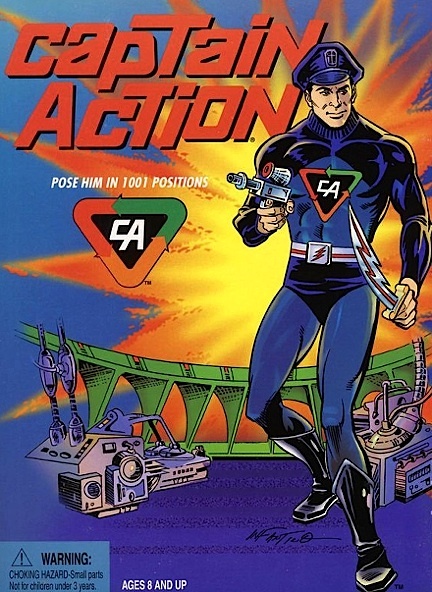 In fact, the man who originally worked with him on that line, Round 2’s Joe Ahearn, has just posted a very nice tribute to Infantino over on the Captain Action fan website. You can read that post HERE. 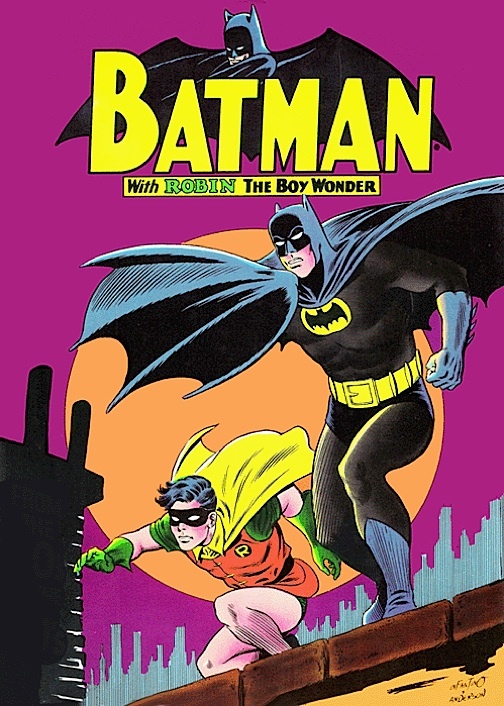 Bottom Line: If you grew up in the 1960s, you may remember begging your mother for “just one more” DC comic book at your local grocery store (remember those rotating racks FULL of bright, shiny new comics?). If so, your pleas would surely have been music to Mr. Infantino’s ears.